Spencer Savings Bank’s 2017 free annual family movie nights continued in Bergen County. Hundreds of local residents and visitors enjoyed a free outdoor movie screening in Wallington, Garfield and Wood-Ridge, N.J. There were refreshments, food, games and raffles prior to the outdoor movie screening under the New Jersey summer sky. 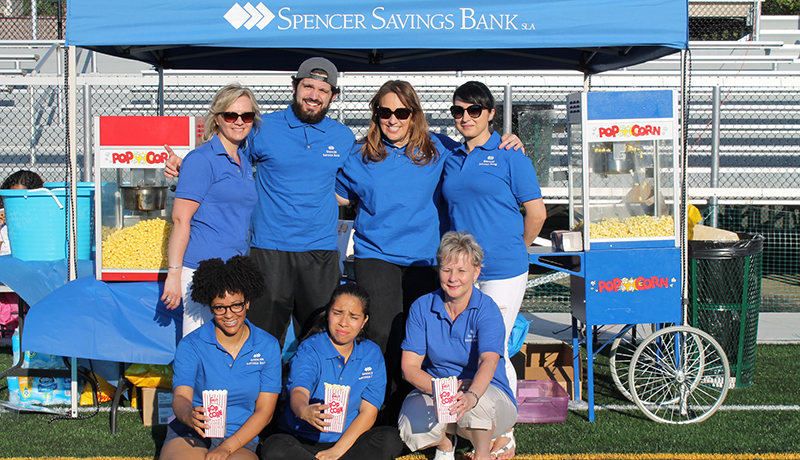 Spencer team members were on hand at all three events serving up freshly popped popcorn to the crowd. Several lucky attendees also won door prizes provided by the bank and partners. The fun summer series was kicked off with the June 9th event in Wallington. 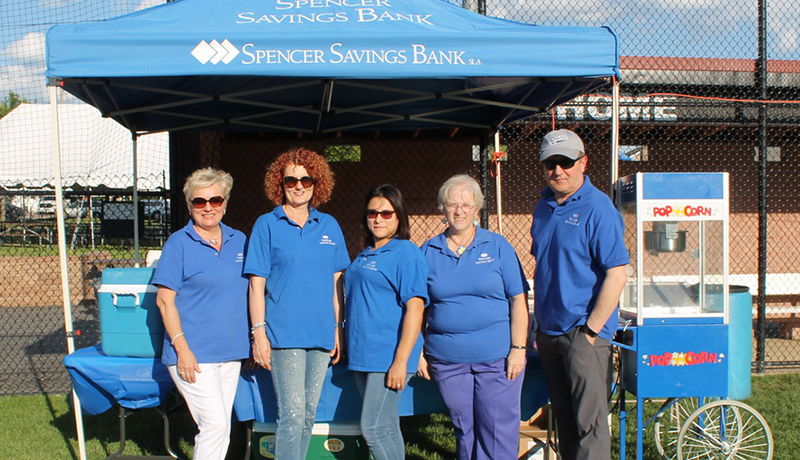 Spencer partnered with the Wallington Lions Club and the Wallington Little League to show the 3D animated hit film from DreamWorks, Trolls, at the Wallington Little League Field. The film features the voices of Anna Kendrick, Justin Timberlake, Zooey Deschanel, Russell Brand, James Corden and Gwen Stefani. The fun continued in Garfield, where Spencer and the Garfield YMCA presented the animated hit, Finding Dory, at the 20th Century Field on June 25th. Free bounce houses and face painting kept children entertained right up to show time. On July 19th, Wood-Ridge and Moonachie residents also enjoyed a free movie showing at the Wood-Ridge Sports Complex. The feature film was Sing, the 3D animated hit musical comedy starring the voices of stars Matthew McConaughey, Reese Witherspoon, Seth MacFarlane and Scarlett Johansson. 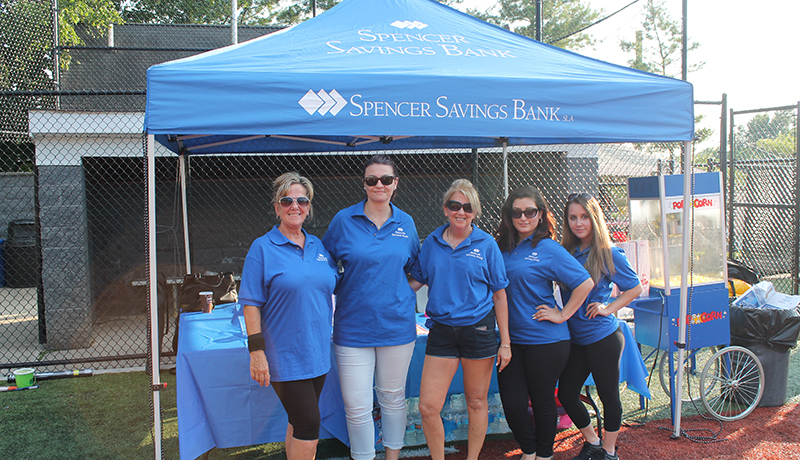 Spencer sponsored the event, along with the Wood-Ridge Public Education Foundation and Borough Mayor Paul Sarlo, which featured a Live DJ, games, food trucks, and more.